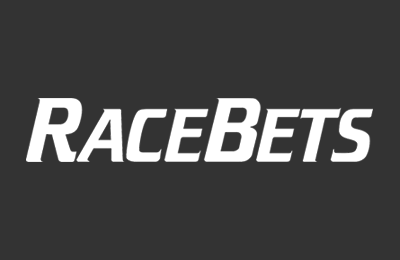 Established in Germany in 2005, RaceBets is a bookmaker that specialises in horse betting. Since horse racing is not necessarily the market that most online betting providers focus on, this particular platform targets punters who prefer horse betting. RaceBets is licensed in Malta and by the UK Gambling Commission as well. The latest racing odds for the UK, Ireland, Germany France, Japan, Australia, and many other countries are available at this sportsbook. Our RaceBets review will reveal particular characteristics of this bookmaker. We will take a closer look at the selection of horse races, whether live-streaming is offered, how competent the customer service is, and the general respectability of the betting provider. At RaceBets you get the best odds guaranteed on all horse Racing in UK, Irland, UAE and South Africa. Place a 25 GBP bet on selected daily race meeting and get a 5 GBP free bet! RaceBets originally belonged to bet-at-home and was founded in 2005. By 2007, the online sportsbook had become one of the largest ones in Germany. Since 2009, RaceBets has been an independent betting platform specialising in horse racing markets. In fact, the German Racing Association became shareholders of the sportsbook in 2010. As a result, part of the profits is reinvested in the horse racing sport. The same year, RaceBets relocated to Malta, which is considered to be the centre of online gaming in Europe according to our RaceBets review. In 2012, the bookmaker expanded its offer to include the British and Irish racing betting market. The company, RaceBets International Gaming Ltd, is regulated by the Malta Gaming Authority. In addition, for British customers, the bookmaker has a license issued by the UK Gambling Association. Our RaceBets review examined the current welcome offer for new customers residing in the United Kingdom, Switzerland, Sweden, Norway, Mauritius, Malta, Japan, Ireland, India, Germany, Finland, Austria, and Australia. The present RaceBets welcome offer comes in the form of a 100% deposit match up to 50 GBP. In order to claim the bonus, you must register at RaceBets and make a minimum deposit of 10 GBP. If you want to get the full bonus amount, then you should deposit 50 GBP. Please note that deposits made via Skrill, Paysafecard and Neteller do not qualify for this bonus offer (except for new customers residing in Japan and India). In addition, for residents of the UK and Ireland, deposits made by pre-paid cards are not eligible either. To claim the bonus, you must place a bet once using the amount of the qualifying deposit at odds of 1/2 (1.50) or higher. Once your qualifying deposit has been wagered once, you must go to the “Bonus” section and enter the code WELCOME in order to activate the RaceBets welcome bonus. You have 45 days following registration to do this. Then your 100% deposit match will be credited to your account. Before you can withdraw your bonus and any winnings, you will have to wager the bonus amount five (5) times at odds of at least 1/2 (1.50). You have 30 days to fulfil this rollover after the bonus has been activated. Please keep in mind that bets placed at odds of less than 1/2 (1.50), and refunded stakes, do not count towards the rollover requirement. The RaceBets welcome offer is quite generous. In order to obtain it though, you must meet all of the bonus requirements. Our RaceBets review has drawn up simple instructions to guide you through this process. Step 1 – Registration: Click on the green “Register now!” button at the top right of the RaceBets homepage. Fill in the registration form with your account and personal details. Step 2 – Making a deposit: Select the payment method you prefer. Please note that deposits via prepaid cards, Skrill, Neteller and Paysafecard do not qualify towards the offer for UK and Irish residents. Make a qualifying deposit of at least £10 (max. £50 for the full bonus amount). Place a bet in this amount at odds of 1.50 or greater. You have 45 days to do this. Step 3 – Fulfil the promo code conditions: Enter the promo code WELCOME in the bonus section once your qualifying deposit has been wagered. Step 4 – Withdraw your winnings: Before you can withdraw all of your winnings, you need to roll over the bonus cash 5 x at odds of 1.50. Then the amount will be released. You have 30 days to do this after bonus code activation. There is a large variety of promotions offered on a daily basis to existing customers which make betting at this bookmaker quite interesting according to our RaceBets review. For example, RaceBets offers “Money back if 2nd” for all ITV Handicaps. The bookmaker will refund your bet if the horse you selected finishes second as bonus cash up to a maximum of £25. This offer applied to race fixed odds market only. As most sportsbooks on the market, RaceBets also has a “Best Odds Guaranteed” offer. For races with the “Best Odds Guaranteed” icon, you will receive the bigger Starting Price (SP) if it ends up being higher than when you placed your bet. This is available for all UK, Irish UAE & South African horse racing. RaceBets is a bookmaker that specialises in horse racing, so there are no other sports bets offered here. According to our RaceBets review, there is also a wealth of information available on the website regarding race tracks, jockeys and much more. The selection of horse races is truly impressive. With 40 different countries and more than 250,000 difference races on a yearly basis, fans of horse racing will surely find what their hearts desire at this sportsbook. Almost everything is offered, from important derbies to smaller regional races. Among the features offered by the bookmaker, you will find the following markets: Ante-post, early prices, head-to-head and special bets. Horse races are usually completed in a very short time, so not like football games that last at least 90 minutes. Therefore, live betting in the traditional form, as offered at other sportsbook, is not really present at RaceBets. The focus here is more on the horse betting itself and bets are usually accepted right up to the beginning of a race. In reality, due to the rapidity of horse racing, betting on horse races is virtually like “in-play” betting. However, RaceBets does offer live-streaming to customers, so you can follow your selected horse as it crosses the finish line. Horse betting odds are different from normal sports odds. Our RaceBets review saw that there are two different calculation options: Classic bookmaker odds (rating both horse and jockeys) and totalisator bets (all players pay in a large pot and there are no fixed odds when you deposit). Both options are available to customers making the betting selection more varied. Overall though, the horse betting odds are above average when compared to other bookmakers offering horse racing. The payout ratio is 93% at RaceBets. Our RaceBets review is quite positive. The bookmaker is a specialist for horse racing and really offers everything that a horse racing fan desires. Punters will appreciate the different sportsbook with live-streaming of horse races worldwide. Of course, if you are looking for sports variety, then you are definitely at the wrong place. The RaceBets welcome offer in the form of a 100% deposit match is generous and the requirements can easily be met. In addition, there are great bonus offers for existing customers. The range of payment methods is large. Unfortunately, the customer service is not available around the clock, but the support staff is competent. If horse racing is what interests you the most, then RaceBets is the best place for you. There is a wide selection of payment methods offered at RaceBets. Almost every deposit option is available in the portfolio. Our RaceBets review also noticed PayPal among the payment options, which is a true sign of respectability for the bookmaker. Basically, you can pay via debit, credit or prepaid card (VISA, MasterCard, Diners Club, and Paysafecard), e-wallets (Skrill, Neteller), bank transfer, and many others. RaceBets does not charge any fees for deposits and the minimum amount varies between 10 and 20 GBP. In most cases, your funds are deposited immediately. Step 2 – Select the desired payment method: Choose a payment option and enter the amount you wish to deposit and the currency. Step 3 – Transact: You might need to enter additional information depending on the chosen payment method and confirm your transaction. Within minutes your funds will be deposited into your betting account. For security reasons, RaceBets has a closed-cash policy. This means that customers must use the same method for depositing and withdrawing funds. In the majority of cases, the minimum amount that can be withdrawn is 5 GBP. RaceBets does not charge any fees for withdrawals. The processing time is instant for e-wallets but can take 1 to 2 days for credit cards and bank wires. Our RaceBets review perused the extensive FAQs offered by the bookmaker and found the quality of the answers to be quite satisfactory. If you prefer spending your time betting, then simply contact the live chat. There is also a free telephone hotline for the UK: 0808 238 0022. If you are abroad, then call +44 203 747 6778. Unlike many sportsbooks that offer customer services 24/7, the support at RaceBets can only be reached from 9 am to 6 pm (CET). However, you can use the contact form in the “Help” section to leave a message and the support staff will reply within 24 hours. Last but not least, you can send an e-mail to support.en@racebets.com. Customer service is available in English and German. RaceBets does not seem to favour social media much. The Facebook page is not very active. On Twitter though (@RaceBetsCom), the bookie has almost 13,000 followers. This is a great channel for promoting the website, publishing horse racing news and results as well as current offers. During our RaceBets review, we noticed that the bookmaker tweets about every other day, so not a very active presence when compared to other top sportsbooks. Reliable or scam: How safe is RaceBets? RaceBets has been in the betting business since 2005. With a gambling license from Malta, as well as one from the UK Gambling Commission, there is no doubt that RaceBets is a respectable bookmaker. In fact, Malta is considered to be one of the strictest gambling authorities in the industry. In addition, RaceBets only sends your sensitive data in encrypted form. What is more, the bookie supports GameCare and Parental Controls. According to our RaceBets review, the bookmaker has entered into partnership with a number of organisations, such as German Racing, Racing UK, At the Races, etc. These can be seen as important facts in terms of safety. How can I register at RaceBets? Simply go to the RaceBets website and click on “Register now”. Enter your personal information (name, home address, e-mail address, date of birth) in the registration form. You will also need to create a username and password for your betting account. RaceBets.com must verify your identity due to regulatory requirements of the UK Gambling Commission and the Maltese Gaming Authority (MGA). In order to verify your details, you might have to send specific documents before making a withdrawal from your account. Is there a RaceBets App? No, it doesn’t. According to our RaceBets review, the platform does not have a dedicated app for Android and iOS. You will not find it in the Play Store, Google Play or Apple Store. No special download is required to properly install the RaceBets app, because it is a mobile website that adapts to your device. Yes, it does. Live streams are transmitted with high quality so there is no need to subscribe to a special channel. To see the races, go to the start-up list and click the link at the top of the list. Does RaceBets charge any fees for deposits? No, it doesn’t. There are no fees charged by the bookmaker for deposits nor for withdrawals. However, keep in mind that certain payment methods such as Skrill, Neteller and PayPal might have deposit fees from their site.